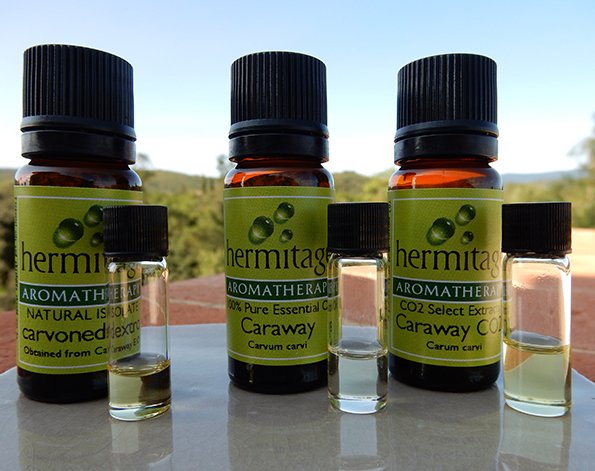 Adam Michael has this to say “This caraway essential oil, comprises chiefly of carvone and limonene, and is quite a heady affair. The aroma is sharp, bitter sweet, spicy, a little musty and complemented by strong spearmint menthol nuances that are tinged with trace pine qualities. The aroma is long lasting, fills a room, certainly unique but within perfumery, if used at all, should be done so with real caution as it has a tendency to dominate and destroy. With a very light touch, this material can find use when building green herbaceous accords, more so those that are lavender or absinthe rich, lends itself well also in trace usage to building bread notes.